What is next for Spurs and Zeelo? We’re incredibly excited at Zeelo HQ about Tottenham’s return home from Wembley next season. We’ve been promised an unrivalled fan experience and an atmosphere to match our beloved White Hart Lane. Building on Zeelo’s launch at Wembley this year, we’re pressing ahead with our masterplan to deliver a 10* travel experience to Spurs’ new home. We want to take the hassle out of match day travel, so you can focus on the game. Getting 62,000 fans to and from the new stadium won’t be as easy as beating Arsenal is these days but by you choosing Zeelo, we’ll all do our bit to avoid the travel chaos. With your help, this is all possible. If you want Zeelo to deliver this 10* travel experience, we need the support of the club. Please register interest here and share this with other Spurs fans directly and on social media. You could win 1 of 10 FREE Season Ticket travel passes by registering. Scroll to the bottom of the post and see how you can get more entries. So far this season, we’ve consistently brought in over 1% of the crowd every week from over 25 pick up locations spanning Bedfordshire, Hertfordshire, Cambridgeshire and Essex. Over 250 of you have bought season travel passes with us and on average, you’ve rated the Zeelo service 9.3/10. Anyway, that’s enough of a pat on the back for us. It’s time to reveal our plans for your 10* travel experience to the Lane. Zeelo is all about connecting fans to games with a direct service, when you need it. 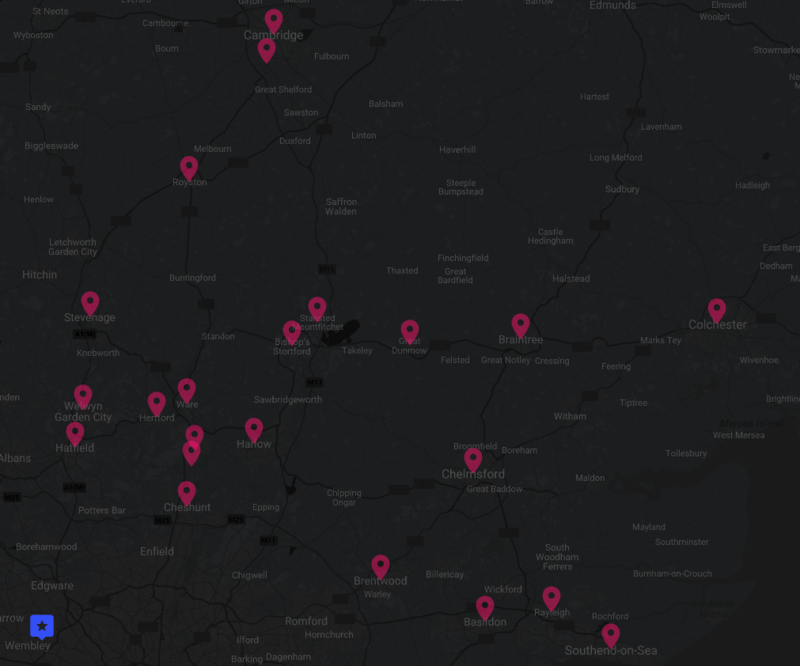 Using data showing where fans would like to travel from, we’re aiming to connect closer to 50 pick up locations to Spurs’ new home. Each service will be direct to the ground, so there’s no need to battle the changes, queues and overcrowding on public transport. With this in mind, we’ll be providing a full evening game solution with added provision for ‘one-way’ trips home after the game to ensure you never need to miss a minute. No fuss, no queuing, and fast entry and exit. With a coach priority entrance and exit lane to and from the stadium, you’ll cruise past the match day traffic. We’ll do all of this as close to the stadium as possible, to ensure we continue the accessible service we’ve been providing to Wembley this season. Stadium integration is also part of the our masterplan. Imagine being able to pre-order your pie and pint, or coffee and mars bar, so they’re ready upon arrival of your Zeelo? No more Wembley queues (and hopefully no more Wembley prices either). Whether it’s debating your match predictions, checking team news or debriefing on the latest record that Harry Kane just broke, your on-board travel experience is an important part of your match day. We want to create a Spurs-themed on board experience – programmes on your Zeelo seat, Tottenham highlights, video content and team news for you to view and maybe even the odd appearance from a Spurs legend to answer some of the questions you’ve always been wanting to ask them. You should be rewarded for swapping your car for a Zeelo. Over 50% of our Spurs travellers this season normally would have driven to the game. That means we’re taking hundreds of cars off the road. 26% said they were more likely to attend evening games because of our service. By using Zeelo, you’re doing a good thing for the club. We think you should be rewarded for that. We’ll be offering season travel passes and promo code rewards for our travellers and hope to provide you with in-venue offers for refreshments and even Spurs’ membership loyalty points. This article was written by Sam Ryan, Co-Founder of Zeelo (www.zeelo.co) and Tottenham Hotspur season ticket holder. Wembley – Block 135.